The Moodle bar provides a quick glance as to how many users are using Moodle at any point in time. In order to extend this functionality we created an Online Users page which does exactly what it says on the tin. 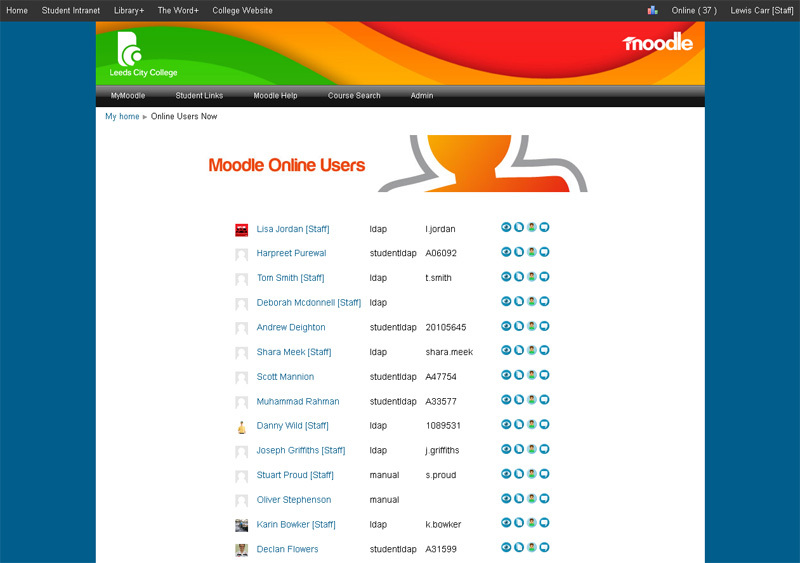 It grabs a list of active users that have been using Moodle in the last 5 minutes. It displays their name and a link to their profile. When an administrator views this page they see a link to Moodle Detective, a loginas button, an edit profile button, a message history button and an option to send the user a message.